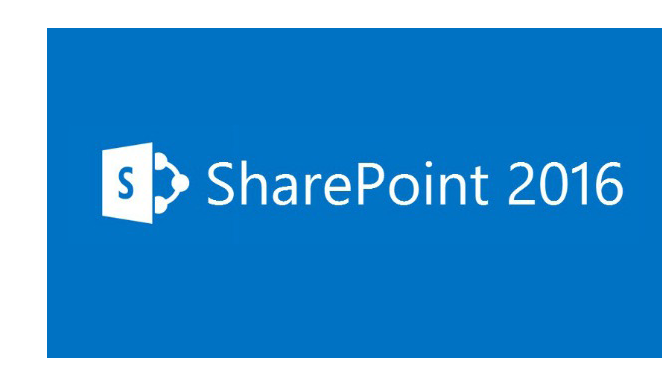 Microsoft has released the preview version of SharePoint 2016. Here is a quick installation guide to this preview version. Preview version requires Windows Server 2012 R2/Windows Server Technical Preview 2 for SharePoint installation and 64-bit edition of Microsoft SQL Server 2014 Service Pack 1 (SP1)/Microsoft SQL Server 2016 for database. *Please note that Standalone installation is no longer available. 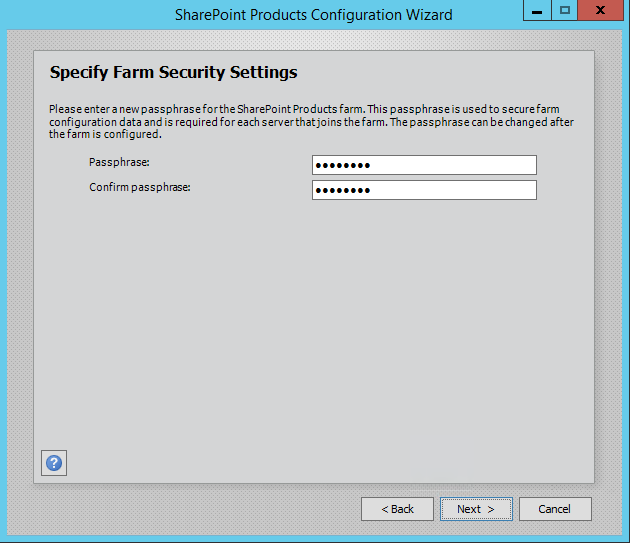 Before you can install SharePoint 2016 (or earlier version), you need to install the required additional software and updates. Simply run Install software prerequsities during setup and follow the installation wizard. 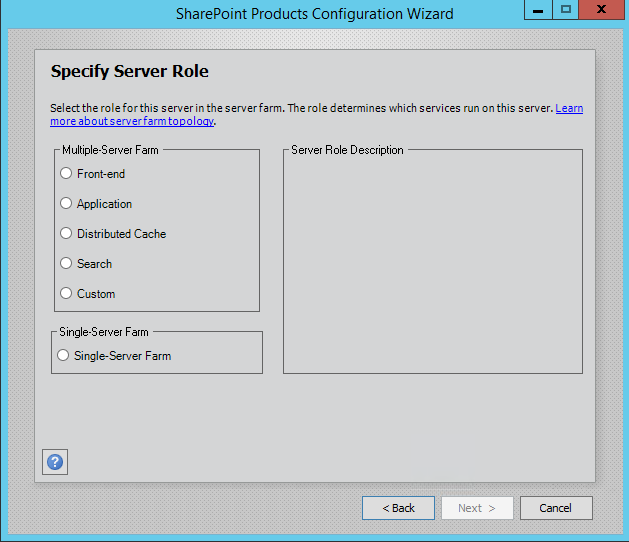 Now you can run Install SharePoint Server. Enter SharePoint 2016 Preview key (available on download page), specify folder location and install SharePoint files. 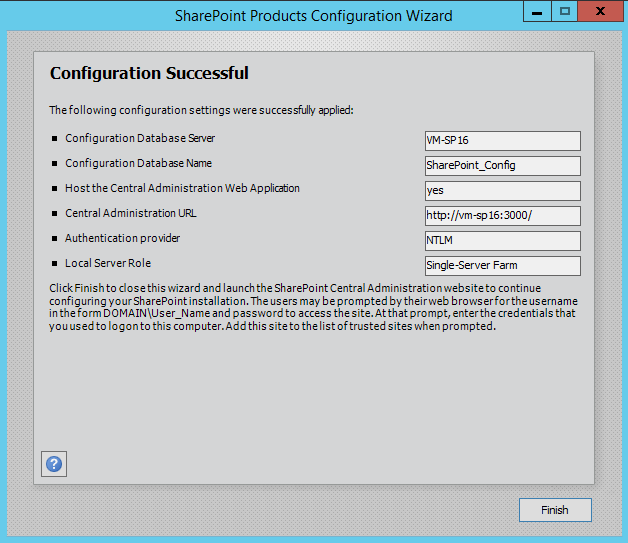 SharePoint installation ends with option to run SharePoint Products Configuration Wizard. 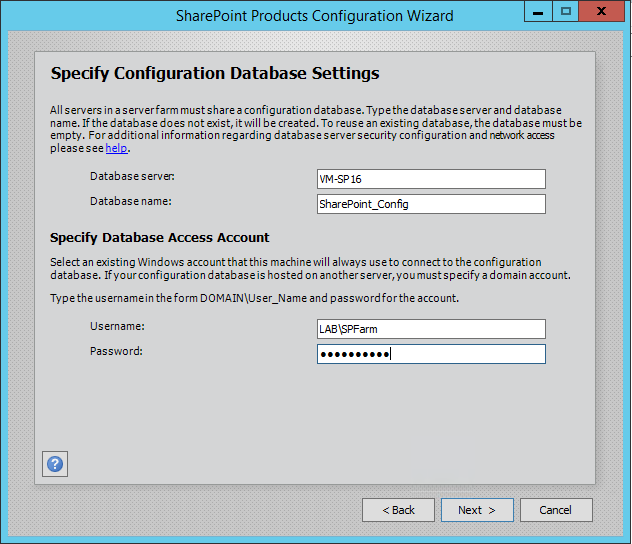 Enter Database server and management account with password to connect SharePoint with SQL Server. Service applications, services, and components that are required for a distributed cache belong to Distributed Cache servers. Service applications, services, and components that are required for search belong on Search servers. For testing I chose Single-server farm. This option will install all features and functionalities. I will discuss server roles and other changes in another post. 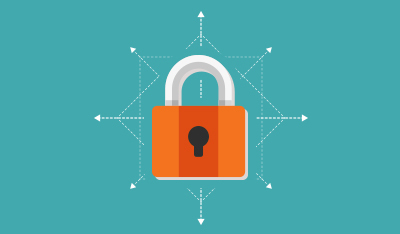 Confirm Configuration and wait for configration confirmation window. Next, Central Administration will load and let you choose to automatically configure web application with site collections and service application. 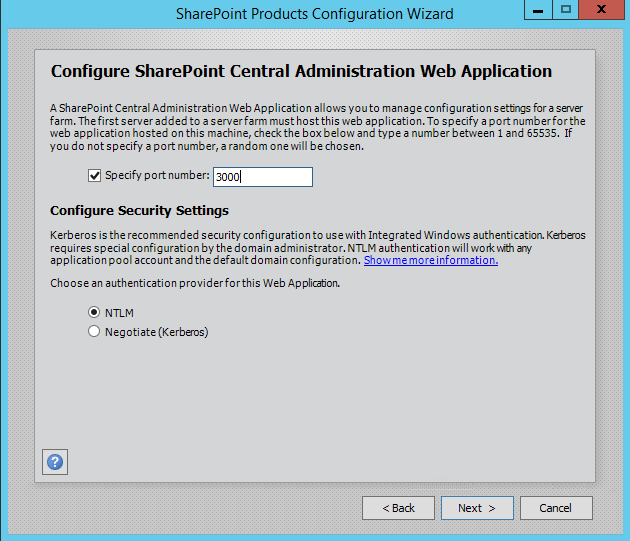 You can skip this step and do all configuration tasks by yourself and explore what’s new in SharePoint 2016 Preview.